This week Karissa welcomed into the KSRO studio Mark Pasternak of Devil’s Gulch Ranch and Ana Keller of Keller Estate. 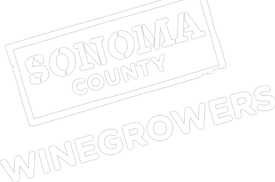 During the show, Mark explained how his vineyard in Marin is part of the Sonoma County Winegrape Commision because the boundaries of this state agricultural region (Winegrape District #3) includes Sonoma County and Marin. He calls his region “Baja Sonoma County.” Ana described her family’s history here in Sonoma County and their sustainability practices. The group tasted through a selection of wines sourced from their vineyards and discussed their favorite Thanksgiving pairings.